The congregation of First Christian Church is dedicated to making the world a better place, more filled with Christ’s love. We do that through service to our home community of Georgetown and Scott County as well as through national and global initiatives. No matter what your interests are, we hope that you will find a way to serve at First Christian Church. The Gathering Place is the only men’s homeless shelter in Scott County. 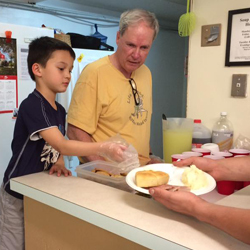 First Christian Church participates in The Gathering Place mission in a variety of ways. We take donations for needed items such as warm winter items, air mattresses, blankets, etc. as the need arises. We also serve a meal at The Gathering Place’s Emmaus Kitchen once per quarter. Members of FCC Georgetown donate food and participate in the serving of a meal on fifth Thursdays. In 2013, First Christian Church donated the former parsonage for use as Elizabeth Place. Elizabeth Place is a transitional home for single women and women with minor children. While there, they receive shelter, food, medical assistance, case management and education. First Christian Church helps with donations of needed items and ongoing support for the residents there. 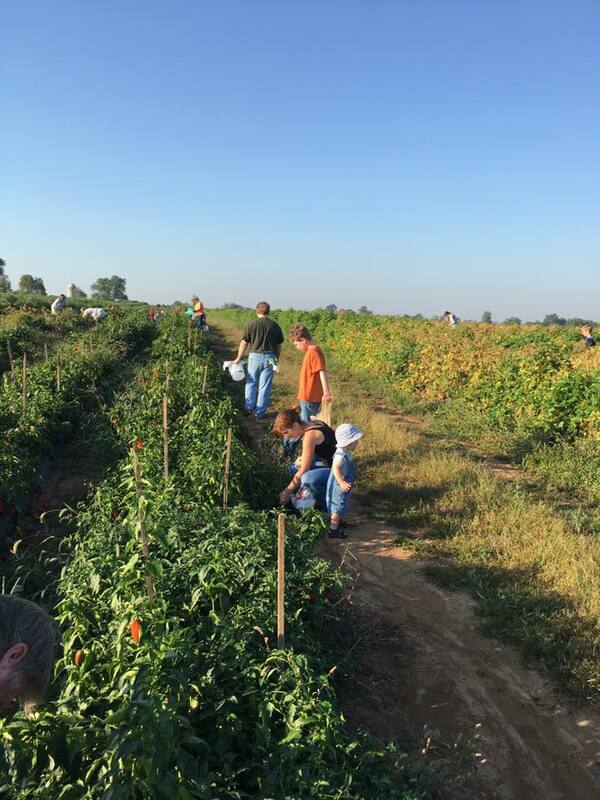 Share the Harvest is FCC Georgetown’s joint mission with Evans Orchard. 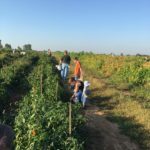 Their excess produce which would otherwise be composted, is transported every Tuesday and Friday during the growing season by FCC volunteers to the Gathering Place and Amen House where it is distributed to the community. 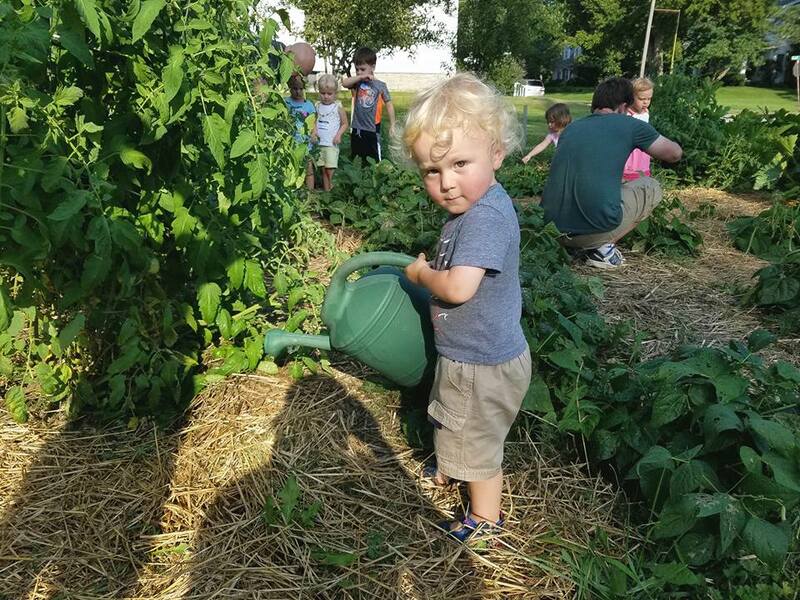 During the late summer, when the harvest is overwhelming, members of the church community meet at Evans for gleaning days to harvest produce that would be otherwise left on the vine. FCC Georgetown and Georgetown Baptist Church host a community garden on Jackson Street. The garden is tended throughout the growing season, but especially on Wednesday evenings. 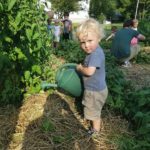 The garden is open to the community to tend and harvest. Fruits, vegetables and flowers flourish there. Church World Service is a faith-based organization transforming communities around the globe through just and sustainable responses to hunger, poverty, displacement and disaster. FCC Georgetown supports Church World Services through “Blanket Sunday.” On Blanket Sunday, we collect funds to support CWS and provide needed items (including blankets) to those dealing with natural disaster and displacement. Week of Compassion is the relief, refugee and development mission fund of the Christian Church (Disciples of Christ) in the United States and Canada. FCC Georgetown is proud to take our support of Week of Compassion to the next level, by marking February of each year as our Month of Compassion. During this month we learn more about Week of Compassion and Church World Service and the work they do on our behalf and we celebrate with donations to both organizations. The Amen House serves Scott County as a food pantry, clothes closet and more with the support of Scott United Ministries (a interdenominational gathering of churches in Scott County). FCC Georgetown takes up an offering of food and money for the Amen House on the first Sunday of every month.